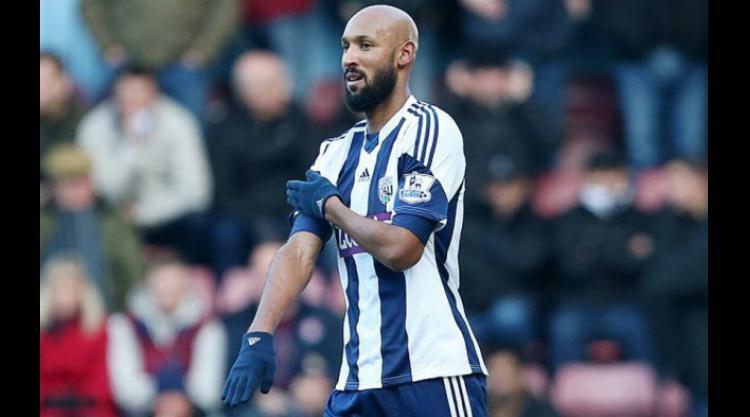 Never having been a stranger to controversy, Nicolas Anelka has caused uproar wih his recent ‘quenelle’ goal celebration. Described by some observers as an ‘inverted Nazi salute’, Anelka has claimed the gesture was intended as a display of solidarity towards friend and controversial French comedian, Dieudonné' M’bala M’bala. While ‘Le Sulk’ awaits trial and punishment for his actions we can take a few moments to look back on some of the most controversial goal celebrations of all time. Not many will remember the name, but Tait represented his hometown club, Birmingham City with distinction form 1988-1999. His most famous moment came when, after scoring the winner in the 1995 Auto Windscreen Shield final, he revealed a t-shirt reading ‘S*it on the Villa’, aimed at City’s rivals Aston Villa. Everybody needs good neighbours, indeed. It wasn’t the goalscorer who caused controversy in this instance. In fact, it was the actions of the referee which spoiled a rather moving moment. In his final international game v Guatemala, the legendary Brazilian striker, Romario removed his shirt after scoring to reveal the message ‘I have a little daughter with Down’s Syndrome who is a princess’. The heartless referee then booked the Brazilian for removing his shirt. Rules are rules, evidently. Not renowned for hitting the back of the net himself, Manchester United’s Neville stirred controversy while provocatively celebrating Rio Ferdinand’s late winner v arch-rivals Liverpool in January 2006. He was seen to run from the halfway line to celebrate manically in front of the opposing fans after the final whistle. Neville was fined £5,000 and warned about his future conduct. Red Nev contested the decision, asking if it was preferable for players to act like "robots" and show no emotions. Rangers v Celtic remains one of the fiercest rivalries in world football so the last thing the authorities in Scotland need is players inciting even more hatred from the crowd. In 1998, ‘Gazza’ did just that. Representing Rangers, the much-loved Geordie celebrated a goal by mimicking the playing of a flute in front of the Celtic section. Nothing much wrong there I hear you cry. Only the flute is a symbol of Loyalism and with that anti-Catholicism in Scotland. Gazza was fined £20,000 and received death threats from the I.R.A. Another player whose fame has peaked as a result of celebrating a goal. In November 2008, Norris had just scored for Ipswich Town v Blackpool when he formed a handcuff gesture with his wrists. This was interpreted as a show of support for friend and Plymouth goalkeeper Luke McCormick who had just begun a seven year jail sentence for causing the deaths of two young boys while driving home drunk from Norris’ wedding. Norris was fined by the club and made an apology to the parents of the two boys. No one can ever accuse Manchester United’s Wayne Rooney of lacking passion and this was evident after completing his hat-trick in a vital Premier League game v West Ham in April 2011. During his impassioned celebration Rooney swore into a pitchside camera and received a two match ban from the Football Association. This didn’t stop United wrapping up their record-breaking 19th league title the following month. F*cking what? In 1994, heading towards in twilight of his career, the legendary Argentine was beginning to show signs of the excesses that would plague his retirement. After scoring in the 1994 World Cup v Greece, Maradona ran straight towards a television camera, eyes bulging and screaming like a man possessed. This aroused suspicions about his drug taking and he was subsequently sent home after failing a test for ephedrine doping. How the mighty had fallen. Having turned Arsenal fans against him by transferring to Manchester City in the summer of 2009, Adebayor could maybe have expected a torrent of abuse to come his way the next time the teams met. However, it was maybe unwise to retaliate by running to length of the pitch to celebrate scoring in front of the travelling Arsenal fans. What followed was a near riot and a shower of bottles, plastic seats and several other pieces of debris heading the Togolese man’s way. If he wasn’t sure how the Gooners felt about him beforehand he certainly did afterwards. Part of a group of Liverpool players in the mid-1990’s known by the press as ‘The Spice Boys’, Fowler regularly found himself courting controversy both on and off the field. While celebrating a goal v Merseyside rivals Everton in 1999, Fowler decided to make a statement of his own. He headed for the white line of the penalty area and pretended to snort it as one would do with cocaine. This was in response to allegations of drug use in the tabloids and subsequent related chants from the Everton fans. Fowler was fined £60,000 by his club for bringing the game into disrepute. That’s a Spicy meatball, Rob. On March 16th 2013, 20-year-old Katidis of AEK Athens celebrated a goal with what appeared to be a Nazi salute. Upon hearing of the controversy after the game the young man apparently broke into tears claiming that he was unaware of the gesture’s connotations and that he was simply dedicating the goal to a colleague in the stands. The promising young midfielder was given a lifetime ban from all Greek national teams and fined €50,000. “Do you know any footballer at the age of 20 who would knowingly want to put an end to his career?” Katidis argued at his hearing. Currently trying to resurrect his club career at Italian Serie B side Novara Calcio, he will be well-advised to stick to some inoffensive Greek dancing the next time he finds the net.